Let me take you down memory lane with me to 2016 (not too far down right?). Well I travelled to Thailand with some of my girlfriends and boy can I say that trip was one of my least favorite trips. Well, that is not to say I did not have fun but to be honest Thailand is surely not at the top of the list of my revisits. So hear me out, first off, Thailand is very different from the United States from Bangkok to Phuket to Phi Phi Island to James Bond Island. However, here is good news, if you are looking for a cheap getaway Thailand is for you but you need to prepare yourself. Alright do not quote me but to be honest the full trip (including flight and hotel) cost me about $700. Also exchanging money is best done as soon as you get there if you want to get the most out of your money. This is because the exchange rates there are better than the United States. Once you arrive, there are several places where you can exchange your money like the airport, banks, hotels and even on the streets (you will find exchange booths). I will advise you not to bring too much money because the American dollar has higher value than Thai Baht. You can bring an average of $300 because currently $1 (U.S dollar) is worth about ฿33 (Thai Baht). Unbelievable but true! So that is to say dining in and out would just cost an average of $4.00-$8.00 and hotel accommodation will cost an average of $30-$50 per night. The truth is that despite the cheap environment, no place is safe in Bangkok. For instance there are so many cabs available in different colors which brings up the question of “Which ones are safe to board?” If you get into a metered taxi and they refuse, you might be in danger so always have a map handy to familiarize yourself with the streets. If someone is eager to take you to a place different from where you asked, do not follow because you might be putting yourself at risk for robbery. Although Thai food was amazing and delicious, the standards on food are completely different. Do not expect to see soap in the bathroom to clean your hands or even toilet paper. Also make sure you only drink bottled water as the water there is not safe (it includes ice too). 1. 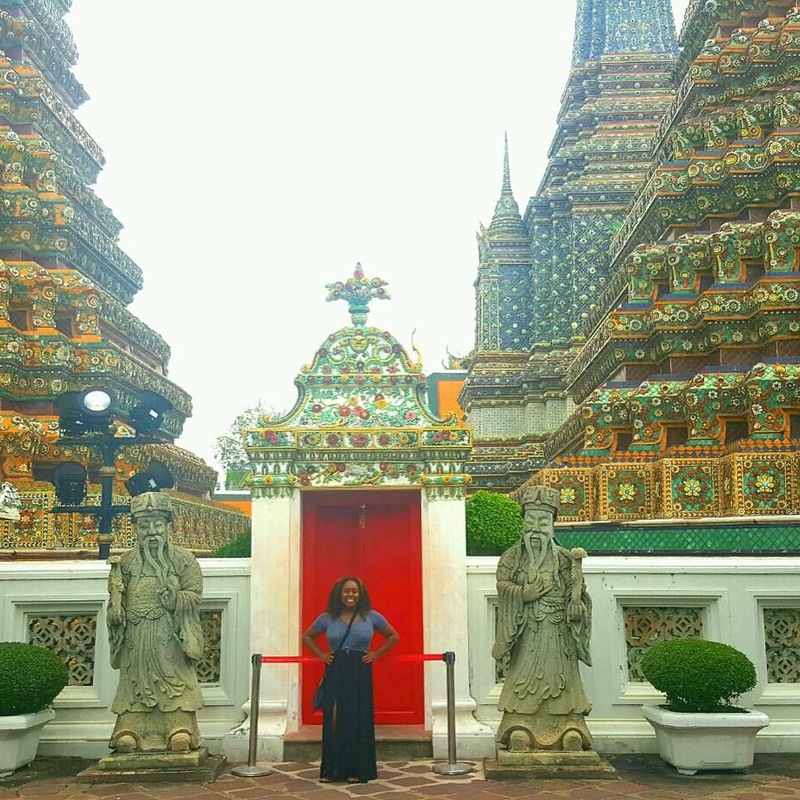 Spend just a few days in Bangkok (3 days max): The only time I have ever felt unsafe was in Bangkok as it is a very large city so 1-2 days is plenty of time to visit. Also ensure you check the best times to travel to Thailand for weather purposes (typhoons and so on). Before I forget, my girlfriends and I were planning to go to Vertigo but we didn’t so you can go check that out. 2. Pack necessities: Pack plenty of snacks as Thai snacks are not the same. Also buy plenty of bottled water as it is quite humid and you need to stay hydrated. Also it doesn’t hurt to bring toilet paper or wipes. Bring plenty hand sanitizer and don’t forget your first aid kit. 3. Airbnb is strongly recommended: This is because the host can give you a lot of information for the best places to go, places to eat and possibly get a driver for you as well. 4. Keep a photo copy of your passport photo: Whenever you are in a foreign country, always have a copy of your passport photo just in case your passport gets lost or stolen. Although I didn’t experience it, I was told random policeman might walk up and ask to see it your passports ensure you have a copy of the photo used to avoid drama.